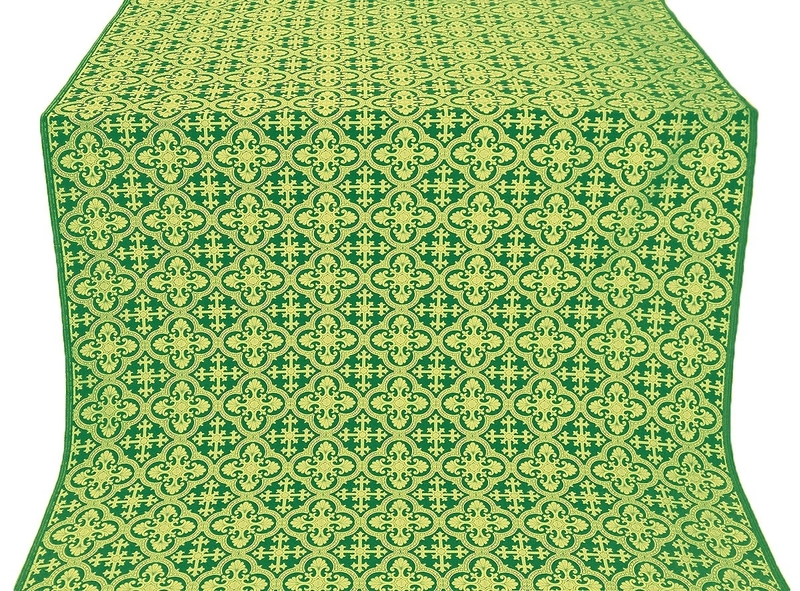 Istok Church Supplies’ is the world’s foremost supplier of Orthodox Christian liturgical fabrics including rayon brocades green-gold. 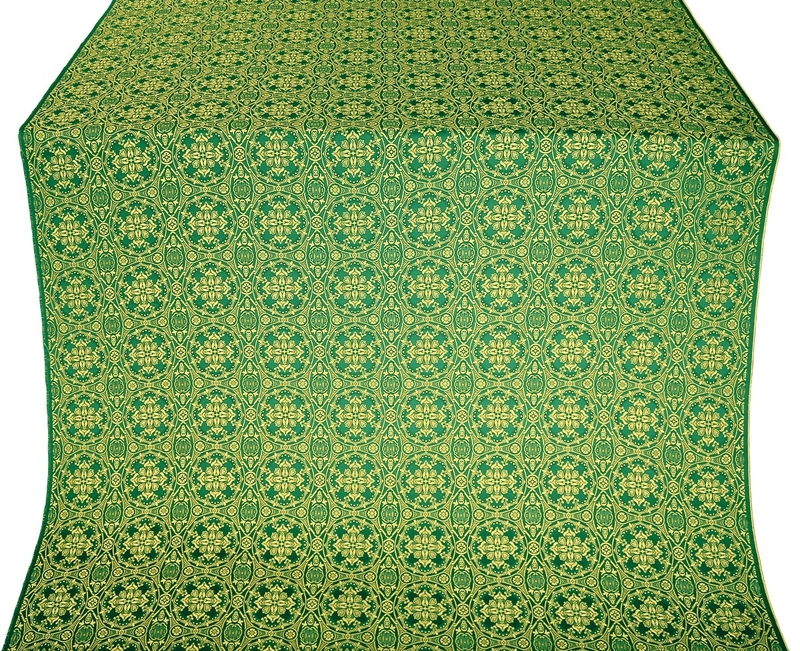 We are proud to offer high quality rayon brocades that are suitable for creating official clergy vestments of long lasting beauty. 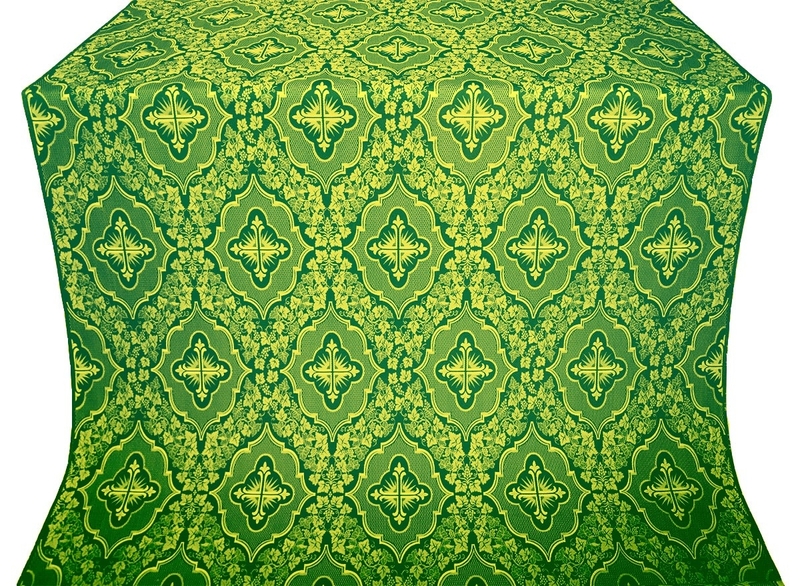 Green is widely recognized as the color of life. In Orthodox Christian liturgical tradition, it is used for commemorating important days such as the feasts of monastic saints and fools for Christ. It is also used inside church interiors for occasions such as Palm Sunday, Pentecost and the Holy Spirit Day. 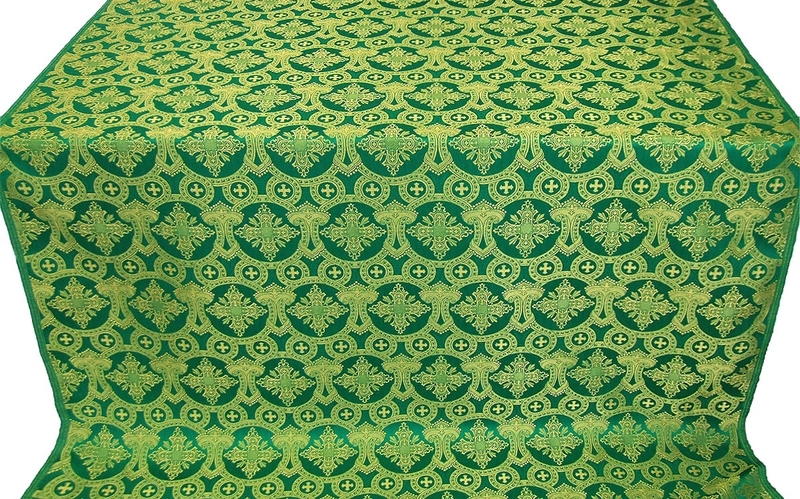 Green pairs excellently with gold and rayon brocades green-gold work well to enhance spiritual mood and ambience inside Orthodox Christian churches. 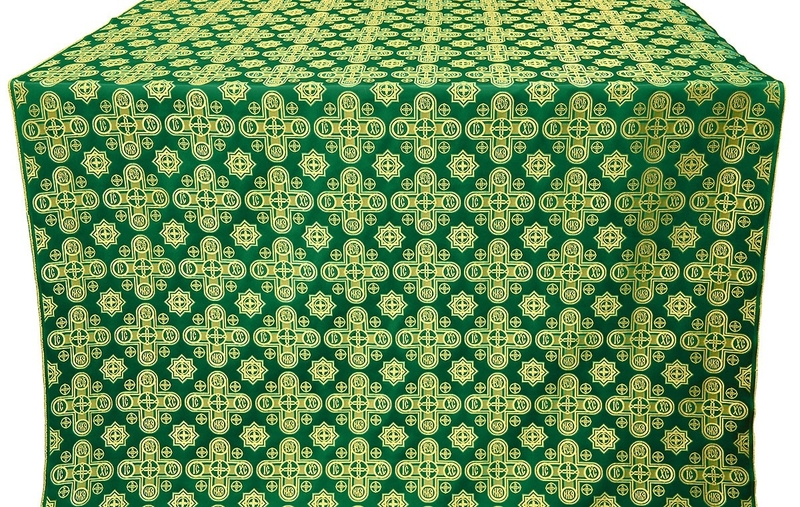 A lot of work goes into creating rayon brocades - all our fabrics feature striking floral and other Christian themed patterns in gold that are seamlessly blended into intense green background. 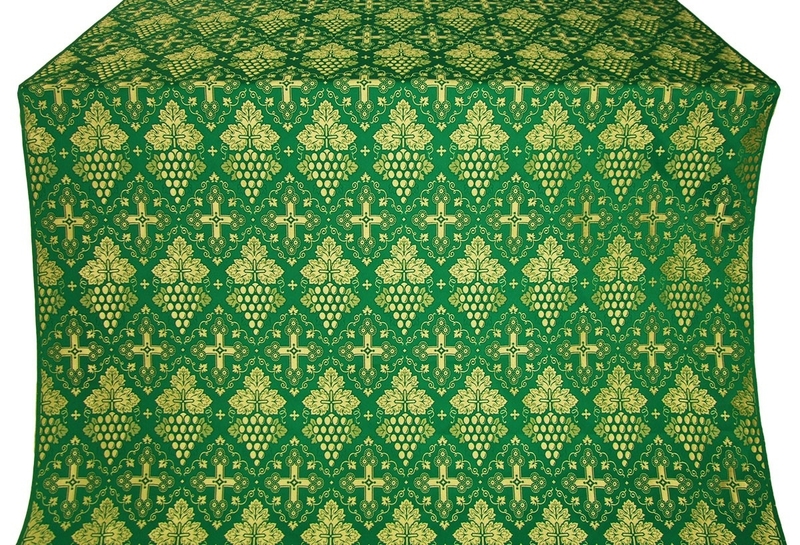 Rayon brocade is a versatile material and ideal for creating excellent quality church vestments. 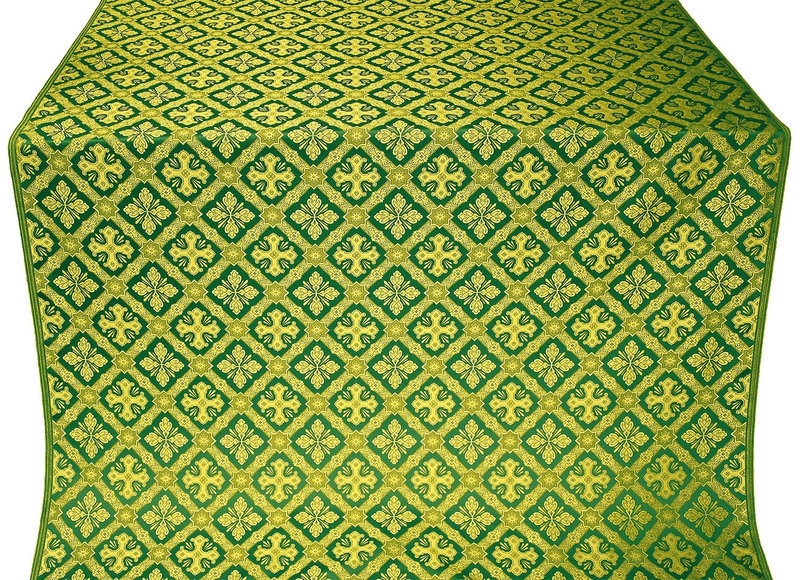 This man made material has a rich appearance, lasts a long time and can be fashioned into any type of vestment – Greek style or Russian style. 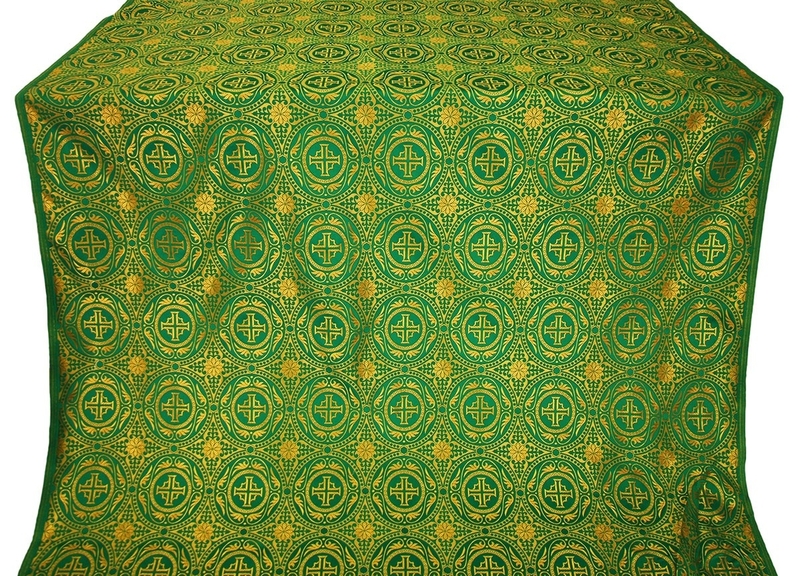 We aim to provide maximum choice and freedom to our customers - we offer rayon brocades green-gold by the meter so customers can create a wide range of liturgical vestments including Bishop’s vestments and altar server vestments to name a few. 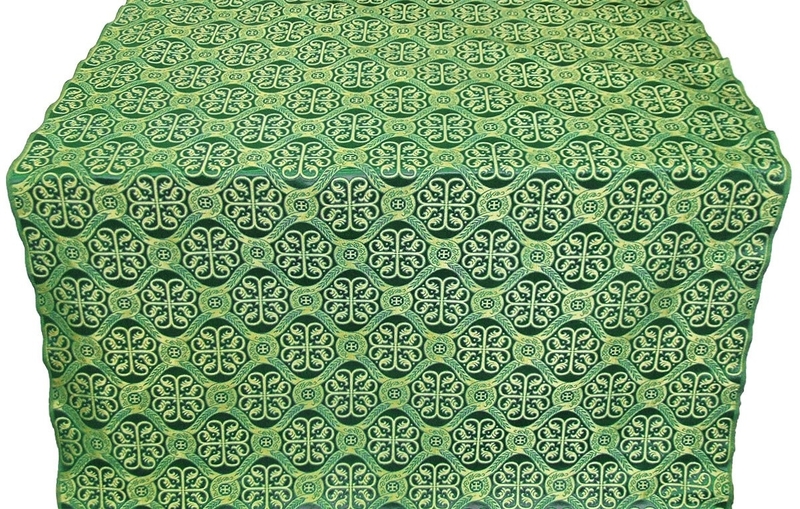 Customers can purchase these fabrics and undertake stitching on their own or we can create custom tailored vestments for them. 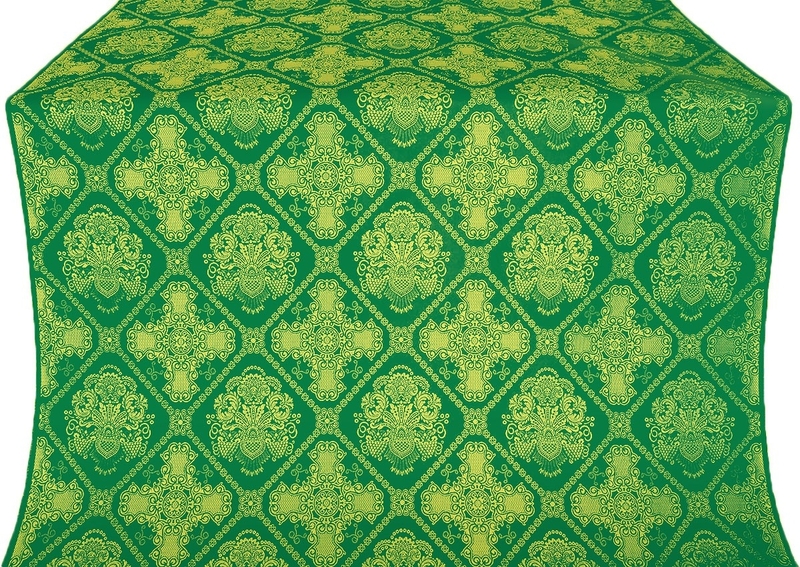 One of the greatest benefits of online shopping for rayon brocades is the fantastic variety on offer, affordable pricing, secure payment options and door delivery services. You can browse through our collection from the comfort of your home or office, get all the product information you need and zoom into product images to arrive at a well-researched decision. 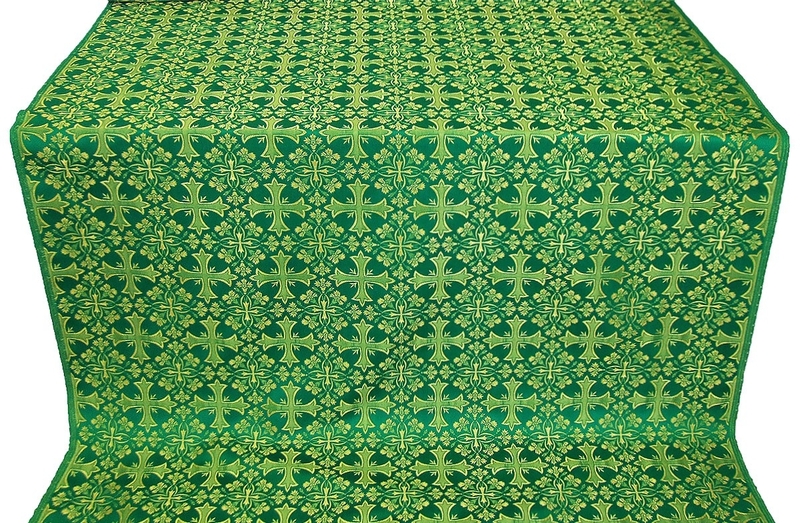 Whether you want to create a Bishop’s vestment, Deacon’s vestment or Sub-deacon’s vestment, you will not go wrong with your choice of fabric. 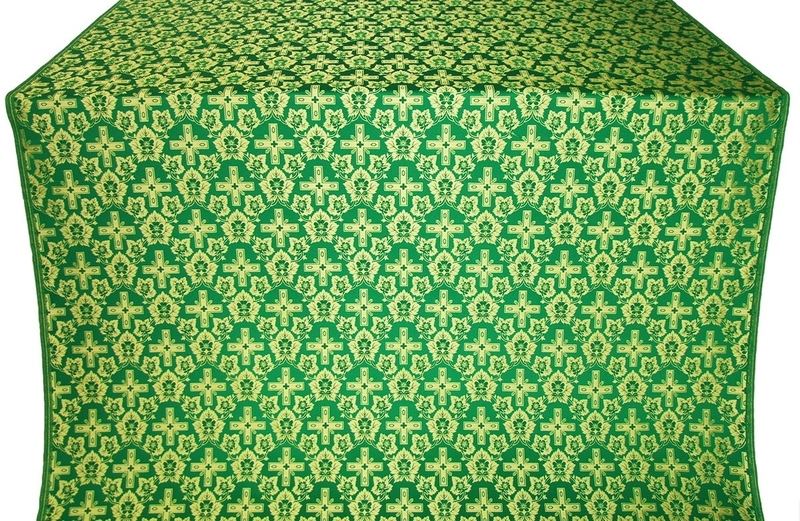 Give your Orthodox Christian church a fresh, new start – invest in excellent quality rayon brocade!